Today, when you order "Gazzo's Tossed Out Deck", you'll instantly be emailed a Penguin Magic gift certificate. You can spend it on anything you like at Penguin, just like cash. Just complete your order as normal, and within seconds you'll get an email with your gift certificate. 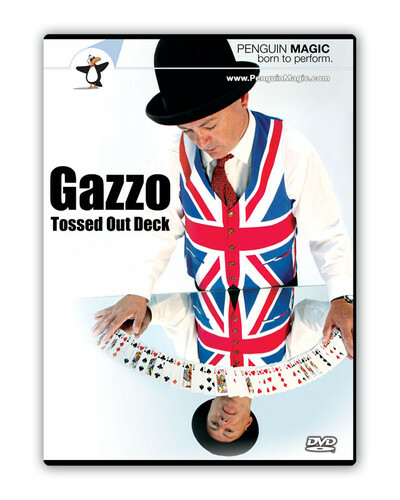 Gazzo's Tossed Out Deck (DVD Download) One of the greatest card tricks in the history of magic. Road tested, refined and CROWD ready. Most highly recommended! Gazzo has worked this routine and knows what he is talking about! In this project he goes over everything you need to know and the pitfalls to avoid. 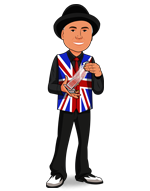 There are multiple live performances which are not only fun to watch but help you see how he applies things to live situations. I only gave this 4 stars as the teaching obviously was not scripted and, although it doesn't stop you from learning, Gazzo is sometimes a bit confusing and fumbles for words. Note: If you choose to buy the download note that you will have to build the "gimmick" which will cost you an extra 12 - 20$. Add that into consideration when getting the download versus the DVD.